The right-click context menu is one of the most helpful interface elements in Windows, but sometimes, especially when we have lots of applications installed, it can be slow and filled with shortcuts we don't actually use. I always wanted to simplify it so that it would include only the options I want to use. After a bit of research, I found three freeware tools which allow you to clean up and customize the right-click context menu and have it as you want it to be. In this article I will show you where to find them, what they do and how to use them. Recommendations: Before following the steps bellow, make sure that you have your default programs set up properly and you create a System Restore point. In case of issues you will be able to easily revert back. The applications below won't function correctly if you don't right click on their shortcuts and select 'Run as administrator'. If you encounter any errors or the changes are not applied correctly, chances are you did not run them as an administrator. ShellMenuView - this tool is good to disable the so called 'static' right-click context menu items. Generally these options are not organized in folders but are listed as individual entries. Good examples of such entries are the Play, Enqueue and Bookmark options installed by Winamp or the 'Add/Play with' VLC Media Player entries. ShellExView - is very good at cleaning up context menu entries installed by other applications. These context menu entries generally expand the functionality of the right-click menu and most times are organized in folders. Examples of such entries are the 'Scan for viruses' option which appears when you install an antivirus software, the 'Adobe Drive CS4' when you install Adobe Creative Suite 4 or the menus installed by file archivers such as 7-Zip or WinZip. 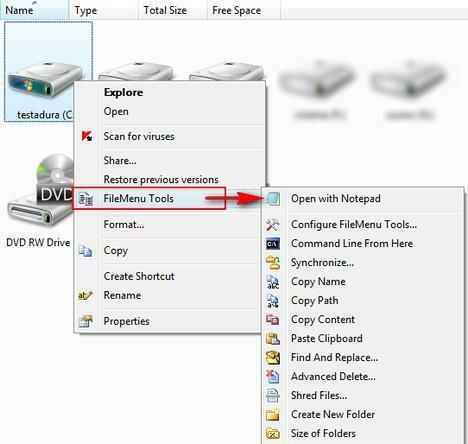 FileMenu Tools - this application allows you to add advanced operations to the right-click menu and also to configure the Send To menu. Even though there are other similar applications, I chose this one because it comes with lots of already preset options. If you don't like this tool you can also try Open++. It has less default options but it can be a bit more user friendly. NOTE: These tools have both 32 & 64-bit versions. They also have versions in other languages. Carefully check their download pages to find the appropriate download links. The interface of ShellMenuView has lots of columns but only a few of them are of interest to a casual user. 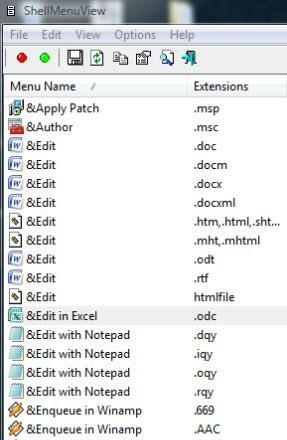 The first two columns list the right-click context menu names and the file extensions for which they show up in the right-click menu. The rest of the columns have information about the file type, status, file name, description, version, product name and company. You can customize the number of columns you see by clicking on View -> Choose Columns. In the Column Settings window select the columns that you want to see. For this tutorial I checked only Menu Name, Extensions, Menu Key, File Type and Disabled. Now let's start with an example of a typical right-click context menu: as you can see, I have lots of entries. For this tutorial, I want to remove the options 'Add to Winamp's Bookmark list' and 'Play in Winamp'. In the ShellMenuView window, click on the Find icon from the toolbar or use the keyboard shortcut 'Ctrl+F'. Type the name of the entry you want to delete and click on 'Find Next'. In my case I will search for the word bookmark. Right click on the found entry and select Disable Selected Item. Repeat this procedure until you disable all entries with that name. An easier method is to sort the first column and then use the Find option. Once it finds the first entry you can easily select them all and right click on Disable Selected Items. The items that you disable will have a gray background and, in the Disabled column, will have the value Yes. 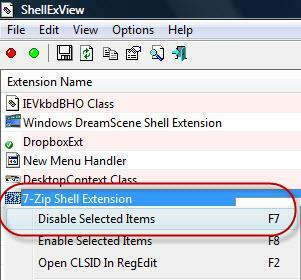 For this tutorial I will use ShellExView to disable the 7-Zip right-click context menu. NOTE: ShellExView has an identical interface with ShellMenuView. Therefore, the columns displayed can be customized using the procedure described above for ShellMenuView. Also, the Find button looks the same. 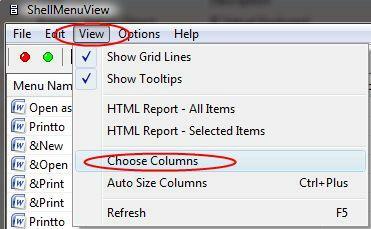 When you are in the ShellExView window, sort the first column, find the entries you want to disable and select them. Then, right click and select Disable Selected Items. In the screenshot below, I selected the 7-Zip Shell Extension, right clicked on it and selected Disable Selected Items. Click Yes when you will be asked if you want to disable the selected items. 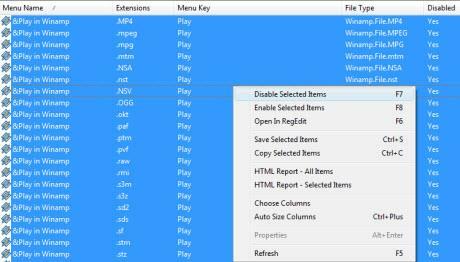 FileMenu Tools is an application that allows you to customize the right-click context menu by adding any commands you want. Also it can be used to edit the 'Send to' menu. You can also use this application for editing (enable/disable) commands added by other applications to the right-click context menu but ShellMenuView and ShellExView seem to be better at this job. The FileMenu Tools interface has three tabs: Commands of FileMenu Tools, Send To menu and Commands of other applications. The first tab allows you to add commands to the right-click context menu. 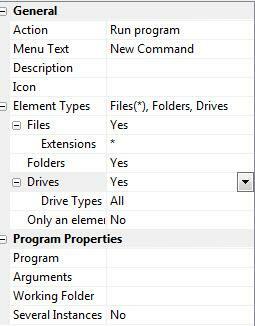 They will all show up under File Menu Tools folder in the right-click context menu. FileMenu Tools comes with lots of predefined commands. You can remove any of them from the right-click context menu simply by unchecking them. 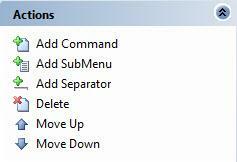 If you want to add a command, a submenu or a separator, click on the appropriate button from the Actions panel. After you have added a new command you can choose what type of command you want it to be: Run a program, Copy to a folder, Move to a folder, Delete specific files, Send to mail recipient. Then you will have to select the application that will execute that specific command and provide all necessary arguments. The second tab allows you to add or remove commands from the Send To right-click context menu like: compressed (zipped) Folder, Desktop (create shortcut), Documents, Fax Recipient, Mail recipient. The process for removing or adding a new command to the Send to menu is the same as the one described above for the Commands of FileMenu Tools tab. IMPORTANT: Once you are done making all the changes you want, click on the 'Apply Changes' button. 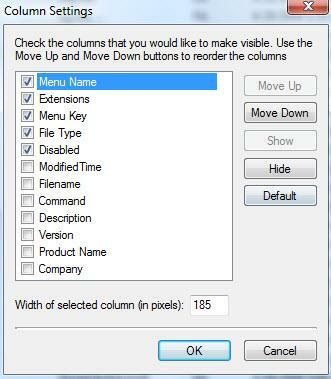 If you don't do this, you won't see anything different in the right-click context menu. Alternatively, you can click on the File menu and select 'Apply Changes'. Unfortunately there is no tool that can help you to both clean up and add new functionality to the right-click menu. However, ShellMenuView, ShellExView and FileMenu Tools can help you get the job done in a few minutes and have the right-click menu the way you want to. If you know other useful tools don't hesitate to share them with us. how can I add something like "Edit with Excel" for the .txt file (with tab separated values)?